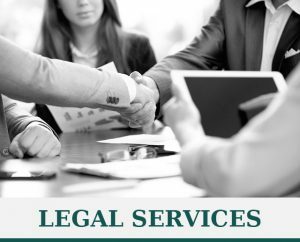 For more than 10 years, Douglass & Ford has been providing top quality legal services to the Nowra and Milton communities and beyond. If you find yourself charged with a criminal offence or dealing with any criminal law-related matter, it is important to contact a specialist legal firm as soon as possible. When you contact our law firm, you can count on honest and straightforward legal advice to help you sort through your options. At Douglass & Ford, we are accustomed to handling all types of criminal law cases. While legal aid is available to some NSW residents, the requirements for this provision have been greatly tightened in recent years. Typically, only those on Centrelink benefits or those with a very low income are eligible for legal aid. At Douglass & Ford, we understand the potential high cost of obtaining legal counsel and representation. With the strict guidelines surrounding legal aid and the expense of fees, there are numerous people who cannot obtain funding through legal aid and cannot afford solicitors fees. The wellbeing of our clients is of great importance to us. In certain circumstances, we can organise a payment plan for a client, allowing you access to exceptional legal assistance to represent your interests effectively and affordably. When faced with confronting criminal charges or court matters, contact us at Douglass & Ford immediately. We can help. If you’ve been arrested, we can provide you with advice regarding your options, and consult with you in person at the police station or gaol. We can assist family members with the process of applying for and procuring bail. We can help you understand your case and determine possible defence options. We discuss realistic, positive outcomes with you. We can represent you in any criminal law related matter before any court in New South Wales, from beginning to end.